Published January 5, 2012 By Anna T. This post may contain affiliate links. Regardless, I only recommend sites I've researched and/or used and trust. This post brought to you by BestMark. All opinions are 100% mine. 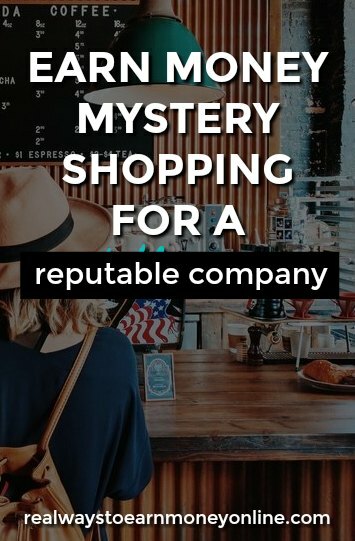 BestMark is a very well-known, reputable mystery shopping company. They are also one of the largest in existence, featured everywhere from the Oprah Show to Essence Magazine. BestMark additionally has an A+ rating with the BBB and are completely legitimate unlike many other scam shopping companies that you might come across. As a mystery shopper, you visit places of business — acting as a shopper — to gather information about your experiences. BestMark might ask you to notice details such as how clean a store was or how the workers treated you. If you're doing a mystery shop for a restaurant, you may have to report back on various details about the food — how it looked and tasted or how long it took the waiter to bring it out after you ordered. The instructions will vary for each shop you do. How much does mystery shopping for BestMark pay? The payment you receive for mystery shopper jobs with BestMark will also vary depending on the shop. In many cases, you receive a reimbursement for purchases made in addition to a flat rate for your time. You should receive specific details for each prior to accepting the job. Who can apply to be a shopper for BestMark? BestMark is looking for people who are at least 21 years of age with reliable transportation and good written communication skills who are also good at paying attention to detail. It's additionally necessary that you have internet access at your home or place of business. How do you find out about possible shops to do? BestMark has lots of shops available across the United States and in Canada, and you can log into your account at any time once your shopper application has been approved to see what is available to take on in your area. If you forget to log in and check, no worries! One of their representatives may let you know if something is open close to home for you. Is shopping for BestMark a full-time job? No, just as it is with all types of mystery shopping work, you should view this as extra money only. But, it's a great way to get out of the house and earn a little extra for something fun — especially if you know you're going to be out shopping anyway. Mystery shopping tends to be really ideal for both stay at home and working parents (who can often squeeze in shops after work or during lunch hours). Lots of college students may also benefit from mystery shopping as well for some extra cash to help with various expenses. How can you sign up for BestMark? Sign up here to become a shopper. There is absolutely no charge to apply, and you can usually expect to hear something back within a couple of days after you sign up. Good luck to you! Just applied..ty for the lead. Good Post Anna. Best Mark is one of my favorites. I cannot give specifics, but they pay you well for your time and they pay faster than most companies.